Bring home the dignity of wilderness! 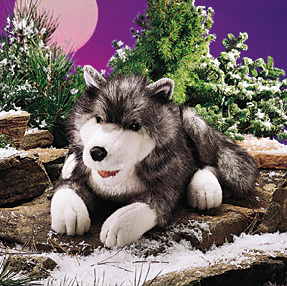 Featuring feathery plush & a gentle, movable mouth, this realistic Timber Wolf puppet is anything but ferocious: it's hungry for love! Measures 18" long x 10" wide x 9" tall.